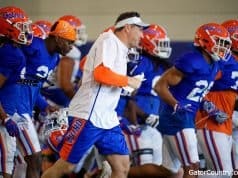 Last week the Florida Gators hosted a lot of prospects on campus during the week and the weekend as recruits were able to watch the Gators go through spring practice. Outside linebacker Phillip Webb (6-4, 210, Buford, GA. Lanier) was on campus and got to do several things while on campus. 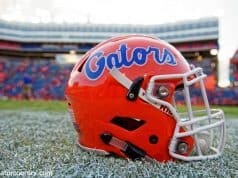 While on campus, Webb got to talk to several of the Florida Gators coaches and he got a message from the coaching staff. 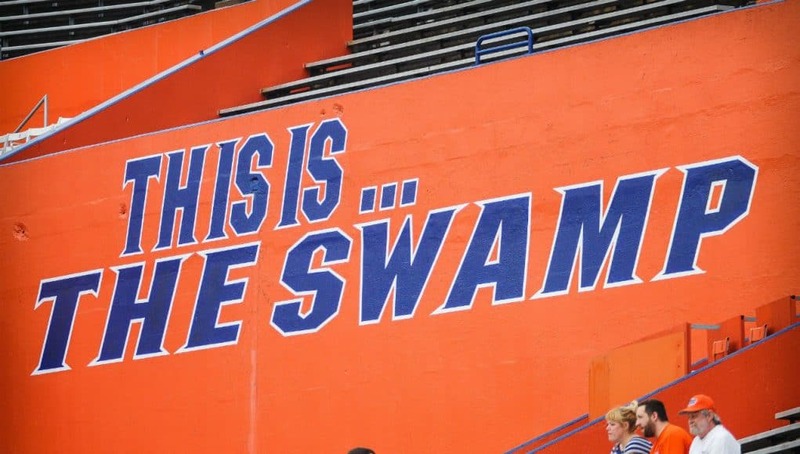 Defensive coordinator Todd Grantham talked to Webb about how he would fit into the Gators defense and where Florida wants him to play at on defense. Head coach Dan Mullen also had the chance to sit down and talk with Webb and give him a message about the Gators as well. This was Webb’s first visit to Gainesville but he came away from the visit with high praise for the Gators. Webb currently has 43 offers but he says a few schools are recruiting him harder than others right now. 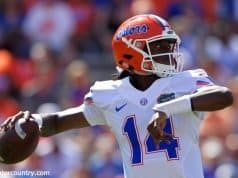 INSIDERS TAKE: Webb says he doesn’t have a decision date in mind but he does plan to return to Gainesville for another visit.